What Is Web 2.0 and How Has It Changed the Internet? Web 2.0 has been a term that's been used often and all over the place in the early to mid-2000s. If you're wondering what the term Web 2.0 even means, you've come to the right place. Why It's Hard to Define "Web 2.0"
It's worth pointing out first that there's not one clear definition of Web 2.0. Like many technological concepts that have seemingly spring out of nowhere, Web 2.0 is one that has basically taken on a life of its own. Some people consider the Web 2.0 era to be the time that a fundamental shift occurred in how we used the internet. It could be described as the move toward a more social, collaborative, interactive and responsive web. The Web 2.0 era served as a marker of change in the philosophy of web companies and web developers. Even more than that, Web 2.0 was a change in the philosophy of a web savvy society as a whole. 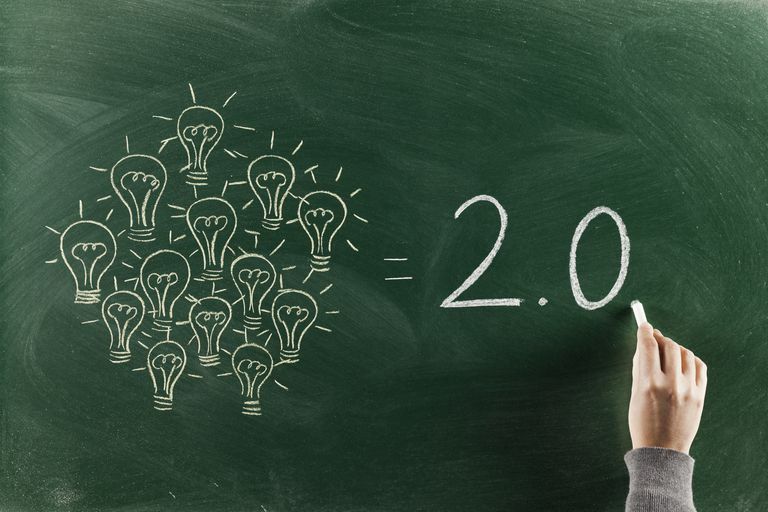 Both the change in how society functions as well as the internet as an existing form of technology are part of Web 2.0. In the early days of the web, we used it as a tool. Web 2.0 marked an era where we weren't just using the internet as a tool anymore—we were becoming a part of it. You could say that Web 2.0 involved the process of putting "us" into the web. The idea of human society merging with a network of computers might sound like the bad plot out of a science fiction novel, but it's a fair description of what has happened to our society over the past decade and a half or so. Not only have we increased our usage of the internet—from how much time we spend on it at home, to how we now carry around a version of it in our pocket—but we've also changed the way we interact with it. This has led us to a social web where we aren't just consuming information from websites. Now, we're creating it. We're all connected with other people who can put anything they want online that they want to share. We do this in the form of social media platforms like blogs (Tumblr, WordPress), social networks (Facebook, Instagram), social news sites (Digg, Reddit) and wikis (Wikipedia). The common theme of each of these websites is human interaction. On blogs, we post comments. On social networks, we make friends. On social news, we vote for articles. And, on wikis, we share information. What is Web 2.0? It is people connecting with other people. These ideas of bringing the power of people directly into the internet wouldn't be possible without the technology to support it. For the collective knowledge of people to be harnessed, websites must be easy enough to use that they don't stand in the way of people using the internet to share their knowledge. It sounds simple, but it's not something that was possible in the early days of the web. And what it meant was that websites could be more responsive more like desktop applications—so that they were easier to use. This allowed websites to begin harnessing the collective power of people because the more difficult a website is to use, the less people that are willing to use it. So, to truly harness that collective power, websites had to be designed as simple as possible so as not to get in the way of people sharing information. What, then, is Web 2.0? It's a version of the internet that's much easier to use. Web 2.0 encompasses so much more than you might think. The ideas that have helped define the Web 2.0 era have taken people and put them on the web. A much more social web has transformed the way we think and the way we do business. The idea of sharing information is being valued as much as the idea of proprietary information. Open source, which has been around for decades, is becoming a significant factor. And the web link is becoming a form of currency. What About Web 3.0? Are We EvenThere Yet? It's been a while since the Web 2.0 era began, and now that virtually all of us have grown completely accustomed to a very social and interactive web, questions of whether or not we've completely shifted to Web 3.0 have been arising for years now. To determine that, however, we need to explore what a shift from Web 2.0 to Web 3.0 really means. Find out what Web 3.0 is all about and whether we're actually there yet. Are You a Social Justice Warrior?